What is Islam? Who are the Muslims? Who is Allah? Who is Muhammad? 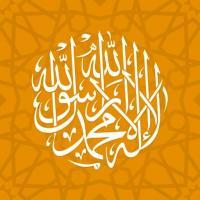 What are the Teachings of Islam? What is the Qur'an? How Do Muslims View the Nature of Man, the Purpose of Life and the Hereafter? The second in a series of six pamphlets from islaam.ca introducing Islam. The 7 'Fundamental' Questions About Islam pamphlet answers seven pivotal questions about Islam. Following up from no. 1 in the series (which focuses on the 'Lordship of Allaah'. No. 2 provides a more general overview of Islam.